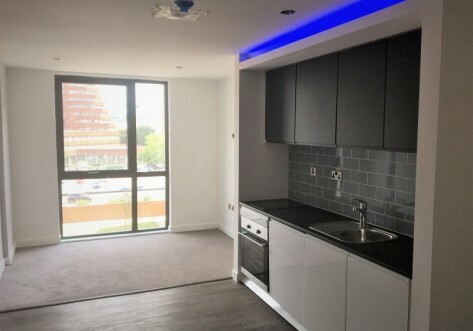 Located in the popular student area Shalesmoore, Sheffield 3 is a modern student accommodation complex of en-suite flats and studios. 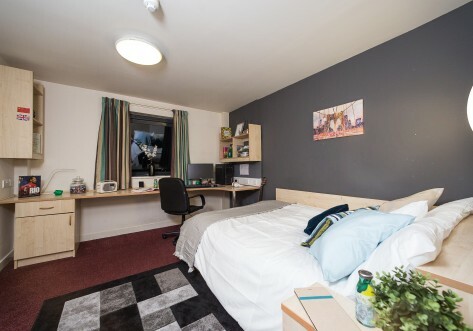 The University of Sheffield (10 mins) is a short walk away so is the Sheffield International College (8 minutes) and the English Language College is right next door! If you want to share with friends or make new ones we have a variety of en-suite rooms available from standard to deluxe. 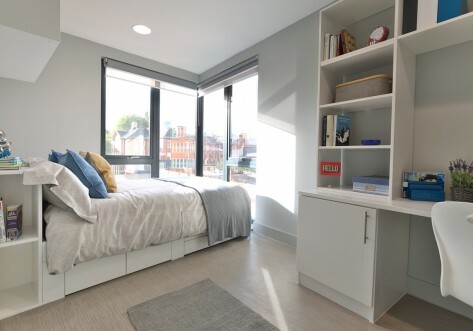 Each flat comes with a large bed, your own bathroom, study desk and chair, shelving, pin board, mirror, wardrobe and coat hooks. The communal living/dining area comes with a fully fitted kitchen including microwave, oven, hob, fridge and freezer. The living area comes with sofas and a flat screen TV for you and your flat mates to share and relax in. If you prefer the privacy of a studio your room comes with a large bed, your own bathroom, study desk and chair, shelving, pin board, mirror, flat screen TV, wardrobe and coat hooks. The kitchenette comes with kettle, microwave, oven and hob. The site has a common room which hosts a variety of events throughout the year and there is a pool and ping pong table, large screen TV with Sky and vending machine. There is limited car parking spaces and bike storage if you wish to bring them with you to university. There is an on-site laundrette and maintenance team so if your lightbulb breaks it can be easily and quickly fixed. WiFi can be accessed across site and comes included in your rent with your bills and free contents insurance. 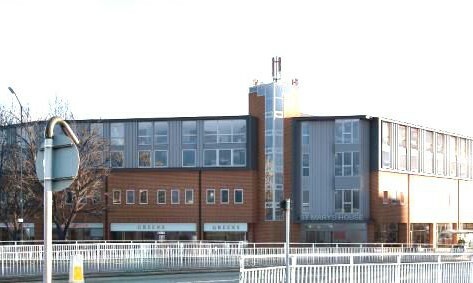 Sheffield 3 is close to a variety of local amenities such as Tesco (5 mins walk), gym (10 min walk), newsagents, pubs and the tram stop Shalesmoore is directly outside the accommodation giving you easy access across Sheffield and direct route to Meadowhall shopping centre and Valley Centertainment. Sheffield has to be one of the UK’s most modern cities and is renowned for its friendly people and, once famous for its steel production, is now massively modern following a dramatic makeover. Its industrial wasteland is being swept away and replaced with business centres, retail developments and fashionable city living. With two universities in Sheffield, an estimated 45,000 students flock to the city every year, making it a very lively place. Sheffield is one of the UK’s most modern cities and is renowned for its friendly people and, once famous for its steel production, is now massively modern following a dramatic makeover. Its industrial wasteland is being swept away and replaced with business centres, retail developments and fashionable city living. With two universities in Sheffield, an estimated 45,000 students flock to its two universities every year, making it a very lively city for nightlife. The shopping is of a very high standard here too with designer boutiques and department stores aplenty. The Moor Precinct, Fargate, Orchard Square and the Devonshire Quarter are the most well known names. Enormous Meadow Hall offers an abundance of shops where you’ll find everything from that little black dress to blue suede shoes and, for more leisurely mooching, Ecclesall Road is a mile-long stretch of fashion boutiques and up-market stores. Sheffield has two major theatres – the Lyceum Theatre and the Crucible, which together with the smaller studio make up the largest theatre complex outside London. The Showroom is Sheffield’s independent four screen cinema situated in the heart of the Cultural Industries Quarter, one of the biggest in the UK. There are also some beautiful gardens located in the city, The Sheffield Winter Gardens, the Peace Gardens and the Botanical Gardens. Single bed with underbed storage, communal kitchen, wardrobe and chest of drawers. Desk, chair and full length mirror included. 3/4 bed with underbed storage, communal kitchen, wardrobe and chest of drawers. Desk, chair and full length mirror included. Double bed with underbed storage, self contained kitchen, wardrobe and chest of drawers. Desk, chair and full length mirror included.